Please peruse the over 200 past commentaries on this site for free. I'm devoting less time to writing public commentaries now and am focusing on even more frequent Market Updates & investment related commentary exclusively for subscribers. I invite you to sample a month's subscription at the very low rate of only twenty two dollars. The service includes analysis on the events of the day, stock and market action, and political and economic trends. What’s Going On With Gold? 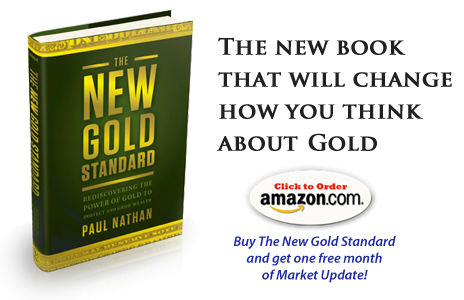 "Paul Nathan is a brilliant investor with a great track record of making big calls at big turning points in markets. His analysis of what went wrong in the recent credit train wreck, and how to lift the world out of it, is sensible and incisive...both investors and policy makers should pay close attention to Paul Nathan's ideas." All my Buys & Sells in your inbox! and what percentage of my capital I have committed to each. My interpretation of what the news means for investors and traders--As it happens! little as $4 a week!